Jessica is excited to be at Schechter for her 3rd year. She will teach Kindergarten this year, while having previously taught pre-Kindergarten at Gan Shelanu. She holds a B.A. in Child, Youth and Community Education and an M.S. in Early Childhood Education from Wheelock College. 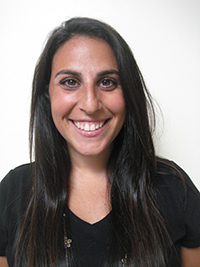 Prior to joining the Schechter team, Jessica worked as a supervisor for a before- and after-school program for children in grades K-5. Every year, Jessica loves learning new things from her colleagues and students. She also looks forward to collaborating with other teachers. In her free time, Jessica is a huge Boston sports fan and enjoys watching the games on television or at a venue! She loves spending time with her husband, family and friends as well as relaxing at the beach and traveling. Jessica feels #SchechterPride when she sees her students smiling and laughing. She also feels #SchechterPride when she receives recognition from her students’ families because it serves as a reminder that she really is making a difference in their child’s life.